A bit of a frustrating day today, finding everything that could possibly be mis-configured on my system here for building Angular/ASP.NET Core applications. Node wasn’t setup right, paths had spaces where tools didn’t like them. Network connections get flaky at inappropriate times. Looking like I’m past that now. Feels a bit like a waste of a day, but hoping for smoother next steps. I had a bit of a buying spree from Packt and Manning over the holidays. I’ve got extensive reading for the next several months at least. 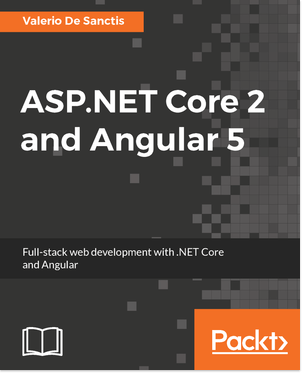 At the moment I’m going to be reading through ASP.NET Core 2 and Angular 5 from Packt.